Thats a delicious oyster dish..sounds yummy.. I love mussels, but I tend to stick to the marinière style, because I love it so much. But this Asian version sounds very tempting! That looks good. I prefer clams in a spicy garlicky black bean sauce, but mussels with oyster sauce sounds like a simple way to serve them up. I'll definitely give it a try next time mussels are on sale. 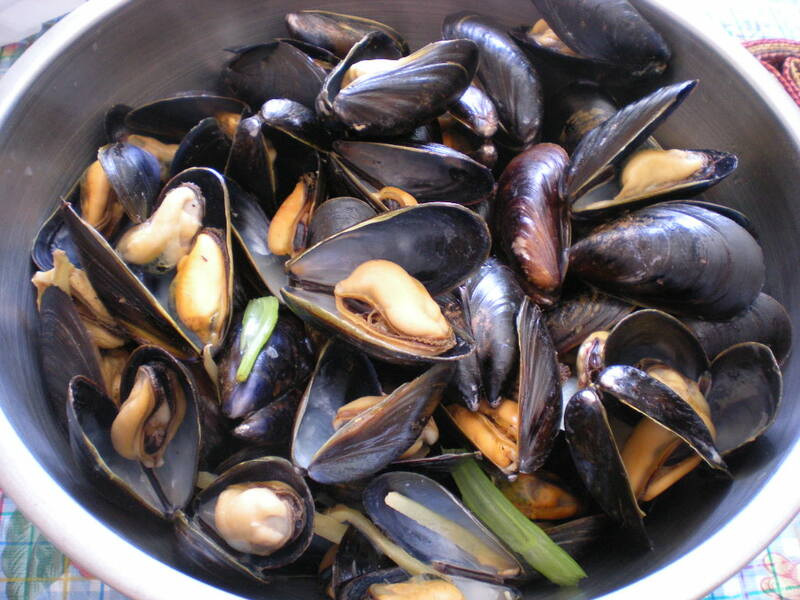 @Valérie: Marinière is also my favorite, I love mussels with a taste of white wine. @Judy: I never tried with black bean and garlic. I should try it myself. Thanks for the idea. My husband and I love mussels and other kind of seafood. I'm looking forward to see more recipes in the future from you!